Is it just me, or does it feel like it’s really trendy to eat things in bowls right now? Poke bowls, burrito bowls, Buddha bowls (what even IS a Buddha bowl?) Taco Bell has “Power Menu Bowl,” while KFC offers a mashed potato-chicken bowl, which has the dubious honor of making Time Magazine’s 10 Worst Fast Food Meals). Burrrrn. The take-home message of the Bowl Movement (don’t think too hard about that phrase) seems to be that you can throw a wide variety of foods together in a bowl and watch them play nice as a one-dish meal. I don’t really care about being trendy, but I can definitely get behind the idea of protein, starch, fruits, and/or veggies all mixed up in one tasty package. Kinda like some other recipes I like. 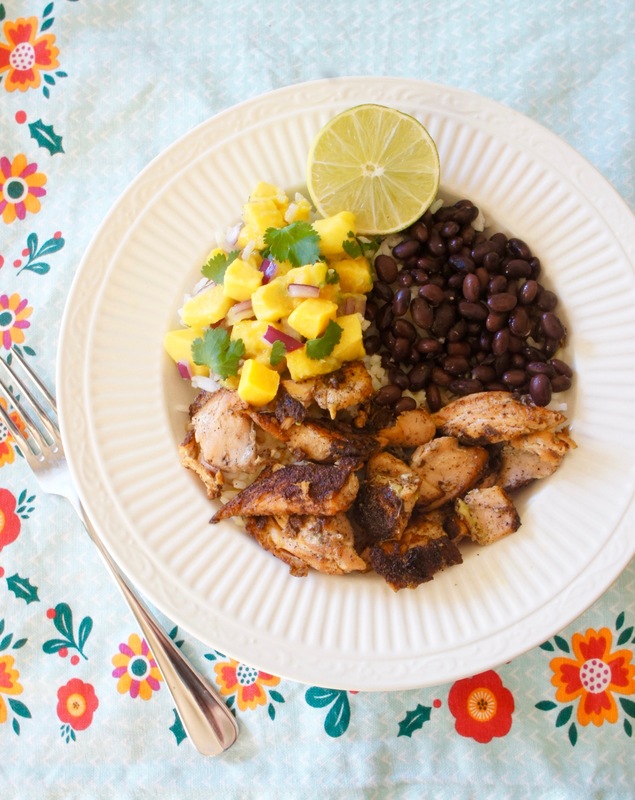 This bowl I’m featuring today combines jerk-seasoned salmon, black beans, rice, and a zesty mango salsa for a refreshing, healthy catch-all dinner or lunch. The pan-frying method of cooking the salmon in this recipe gives it a restaurant-quality, almost-but-not-quite crispy on the outside texture that complements the cool sweetness and tender texture of the avocado-mango salsa. Sturdy staples of black beans and rice round out the equation. When serving, separate it into sections (as pictured), or stir it all together. There’s no wrong way to eat a bowl. 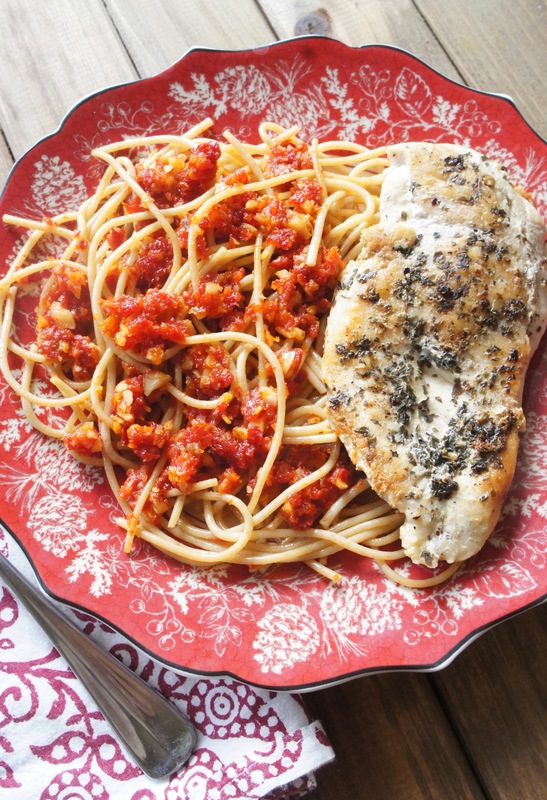 Especially if you’re observing Lent, this is a great one for meat-free days, or any time you’re looking for a light meal packed with nutrition. 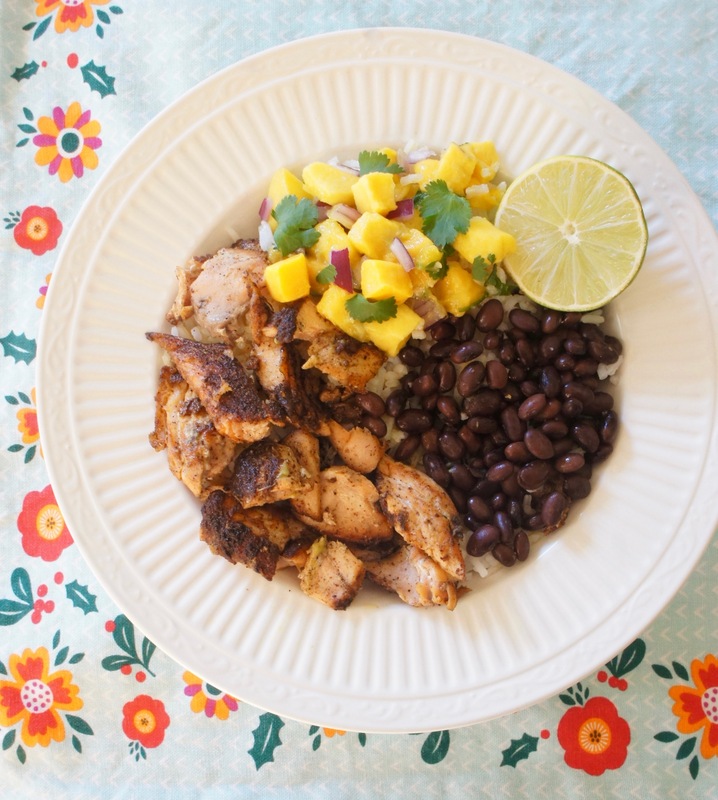 This one-dish meal of salmon, beans, rice and mango salsa is packed with nutrition! In a medium bowl, stir together avocado, mango, red onion, and cilantro. Squeeze juice of 1/2 lime onto mixture and stir again. Season with salt to taste. Set aside. In a small bowl, combine spices (curry powder through cumin). Rub over both sides of salmon. Heat olive oil over medium-high in a large non-stick skillet. Add salmon and cook 3-5 minutes per side. Break salmon into chunks and continue to cook until no longer translucent. Remove from heat. Divide rice, beans, salmon, and salsa between four bowls. Serve immediately. You make it more than once. When you serve it at Thanksgiving, it disappears to the last bean. You actually sneak it out of the fridge to snack on it at night. Or, perhaps all of the above…because all of these things have been true in our household with these Lemony Green Beans with Almonds and Feta. 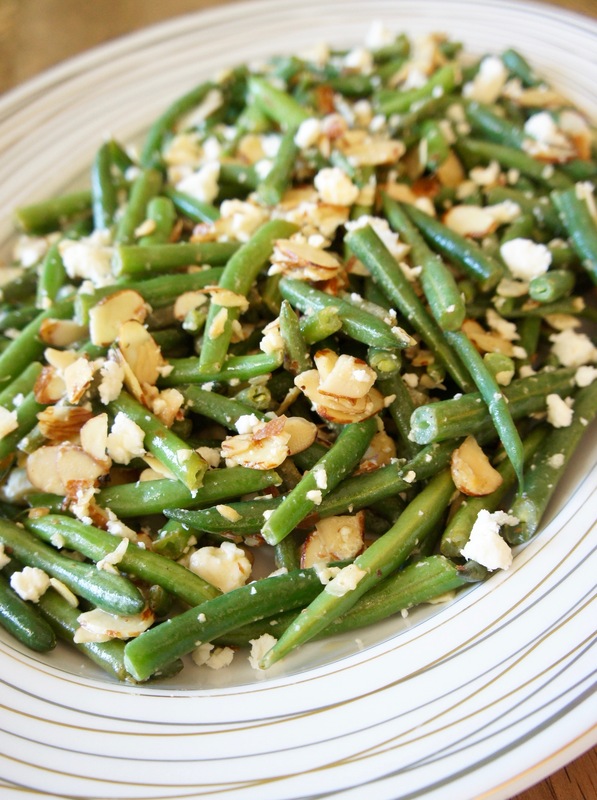 Who’da thunk a green bean side dish could be so appealing? I featured this recipe on A Love Letter to Food’s Facebook page during my annual Healthy Thanksgiving Countdown as an alternative to the usual green bean casserole. To take my own advice, I decided to make it for the Thanksgiving dinner we attended with friends. It turned out better than I could have hoped, the beans pan-steamed to crispy crunachability and the feta and toasted almonds soaking up the lemony, garlicky dressing. When everyone was served at dinner, nary a bean was left. On the heels of this success, I served this again at Christmas dinner. 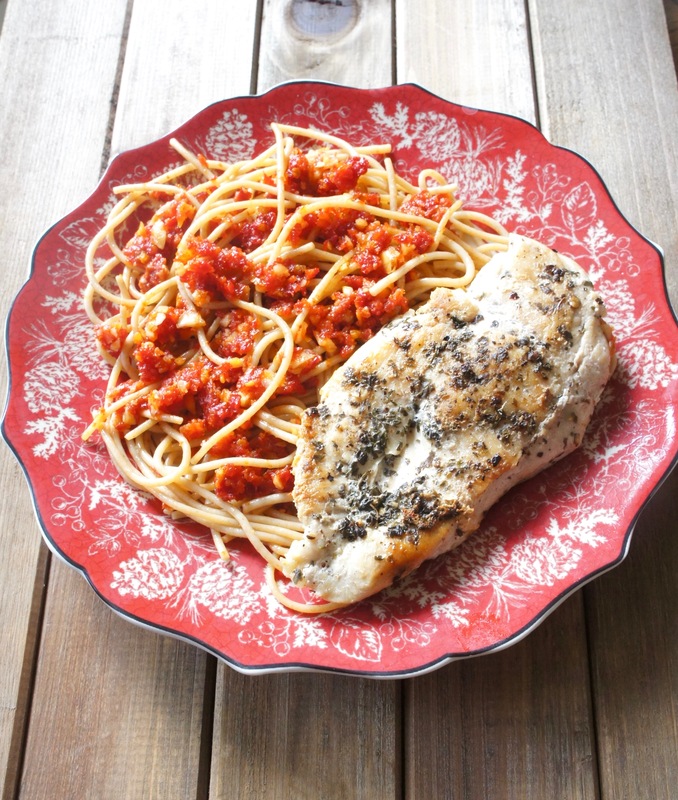 Even my 6-year-old fought me to eat the leftovers–cold. That’s a good sign. Because yes, it is. And that beats green bean casserole any day, if you ask me. 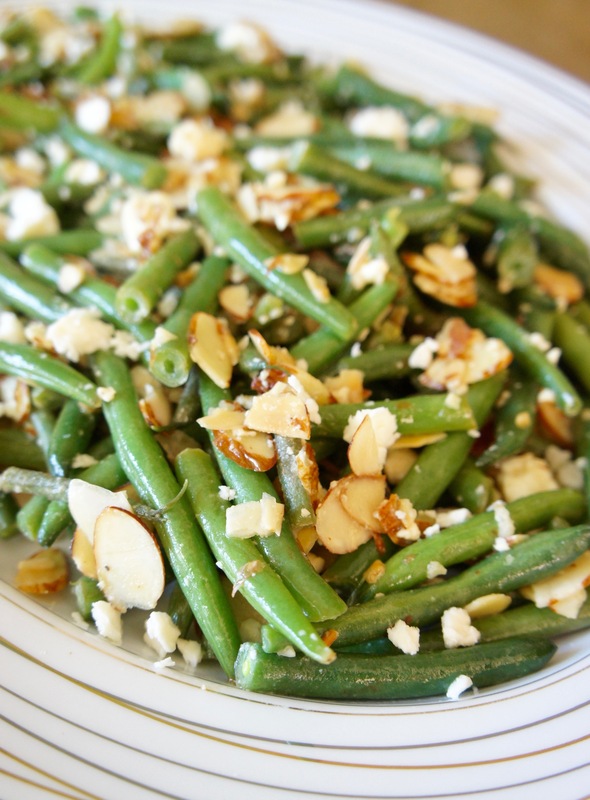 Crisp-tender green beans tossed with a lemony dressing and sprinkled with toasted almonds and feta make an incredible side dish! Toast the almonds one of two ways: either bake them for 3 minutes at 325 degrees or heat a large skillet over medium heat and cook almonds, stirring occasionally, until toasted. Set aside. Heat a large skillet over medium heat, then add green beans, water, and 1/4 tsp. salt. Cover and cook 7-10 minutes, stirring periodically. Uncover and increase heat to medium-high. Continue to cook another 3-5 minutes or until water has evaporated and beans are crisp-tender and bright green. Remove from heat. Meanwhile, make the dressing: whisk together olive oil, dijon, lemon juice, garlic, red pepper flaked, and black pepper. When beans are done cooking, toss with toasted almonds, lemon dressing, and half the feta. Spread on a platter or serving dish and sprinkle with remaining feta. Serve immediately. I realize Halloween is over, but can you handle one more pumpkin recipe? I know I can, but then again, I could eat pumpkin pie every day whole year round. For others less out of their gourd for gourds, now that it’s November, pumpkin fatigue may have set in. Understandable. 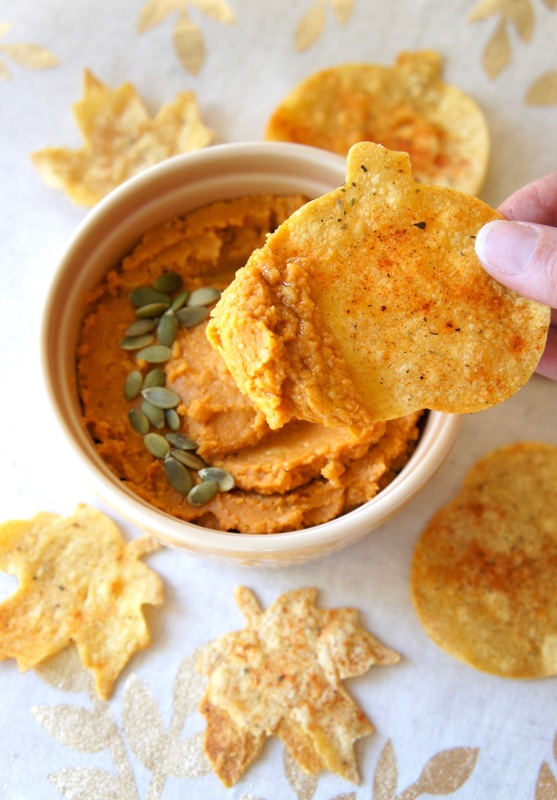 But I hope you’ll make an exception for this Pumpkin Hummus recipe, because not only is it easy, unique, and tasty, it’s also super fun to make with DIY fall-shard tortilla chips. When it comes to making hummus, the main thing that usually stands in my way is that I suffer from what I think of as Tahini Block. As in, I really, really don’t want to spend eleven bucks on a jar of ground sesame seeds when all I’ll use is a couple of tablespoons at the most. Therefore, I generally refrain from homemade hummus unless I can use a tahini-free recipe. This one fits that description! Though tahini adds a signature flavor, as a general rule hummus is extremely adaptable. As long as it starts with beans and ends up with a nice consistency, I say you’re safe to call it authentic even if no tahini is involved. Now let’s talk tortilla. DIY fall shaped tortilla chips, to be exact. Of course you could buy tortilla chips at the store–I mean, who really needs to make their own chips?–but once you’ve cut your own shapes with delightful fall-themed cookie cutters, there’s no going back. 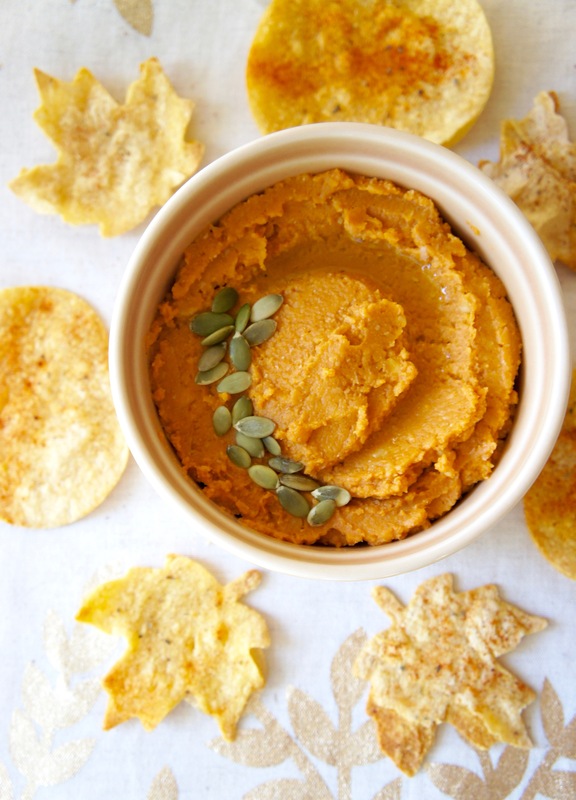 Pumpkin and leaf-shaped dippers add a whole extra layer of seasonal character alongside this pumpkin hummus. So for your next play date, Thanksgiving potluck, or Tahini Avoiders Anonymous meeting, give this fun combination a try! 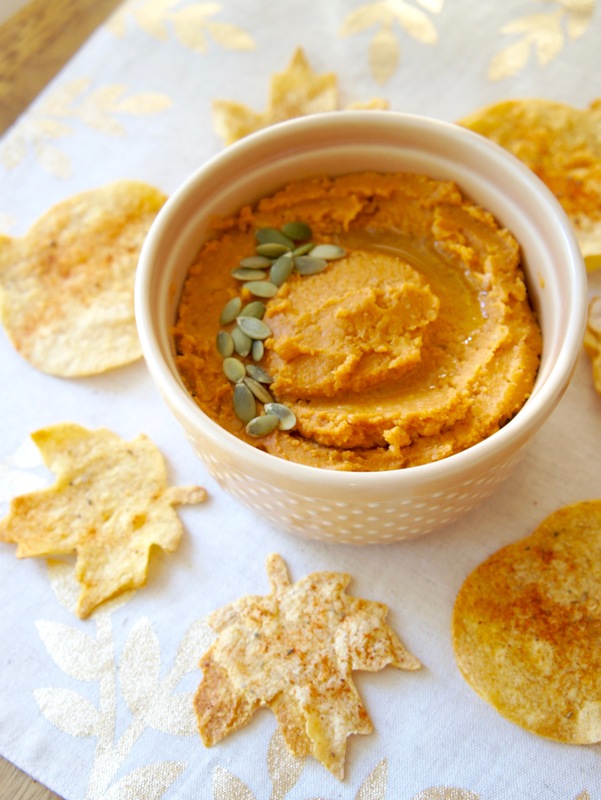 A savory, tahini-free pumpkin hummus paired with fun DIY tortilla chips! Place garlic clove in the bowl of a food processor and run on low briefly to mince. Add all remaining ingredients and process until smooth. Serve garnished with pepitas, if desired. Place on prepared baking sheet and bake 7 minutes, then flip chips and bake another 7 minutes. 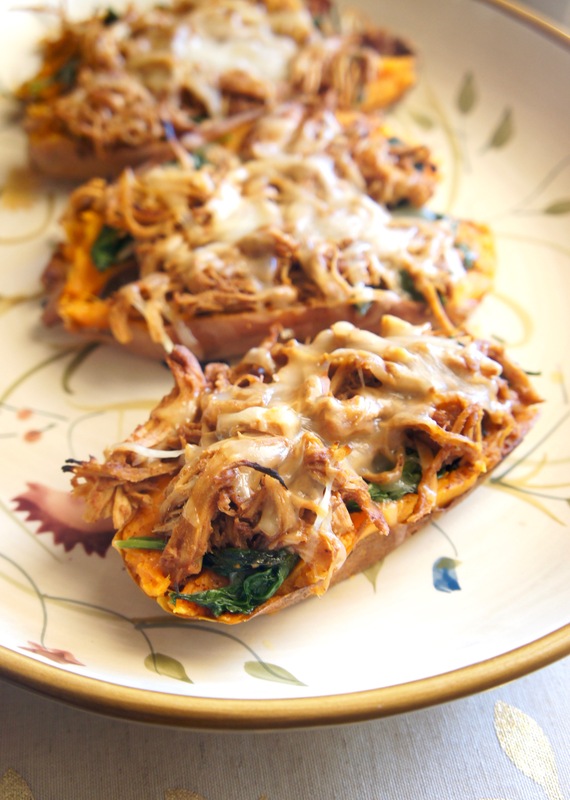 Serve with pumpkin hummus.